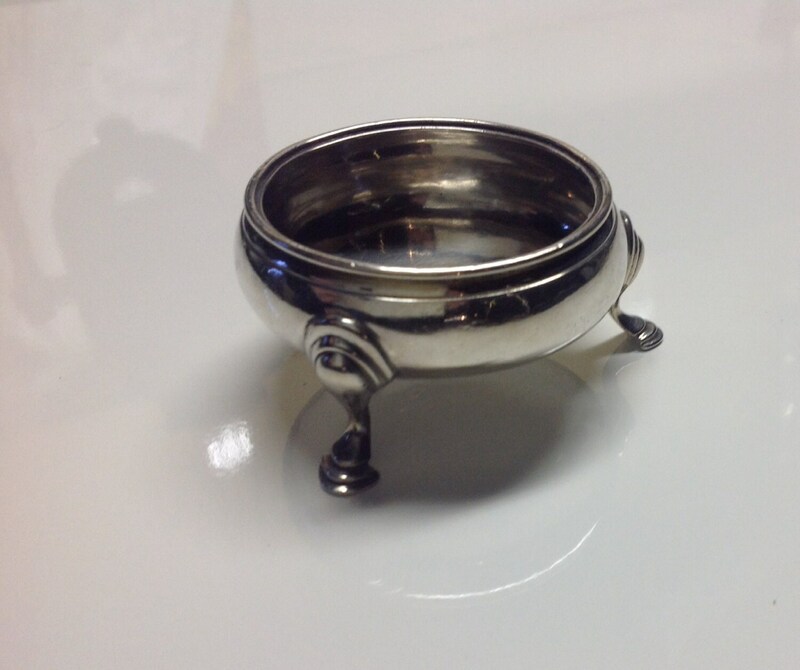 A colonial sterling silver salt cellar made just before the American Independence by known makers. 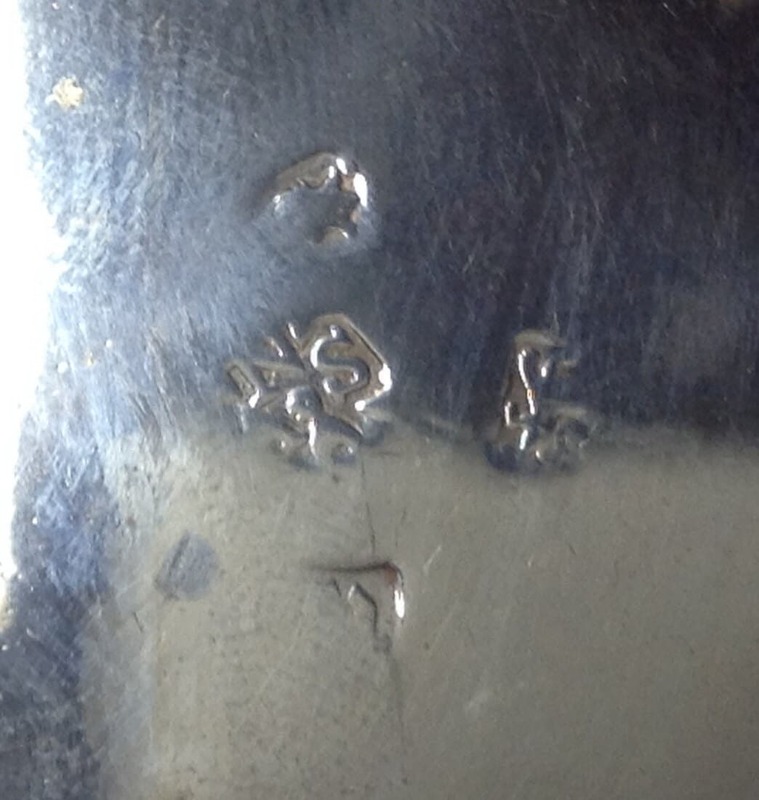 The piece is well marked with the maker, London (pre-1822 crowned leopard, Sterling, and maker's mark). 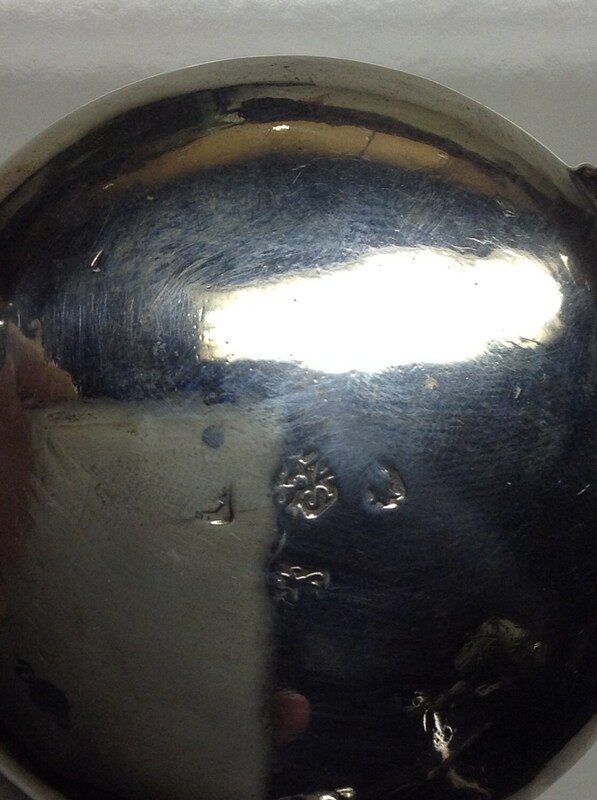 However, lovers of English silver will notice that their is no duty stamp since this was not introduced until later in the reign of King George III. Besides three scalloped hooves, the piece features only the most minor of adornments also characteristic of the time. A magnificent addition to the colonial table. 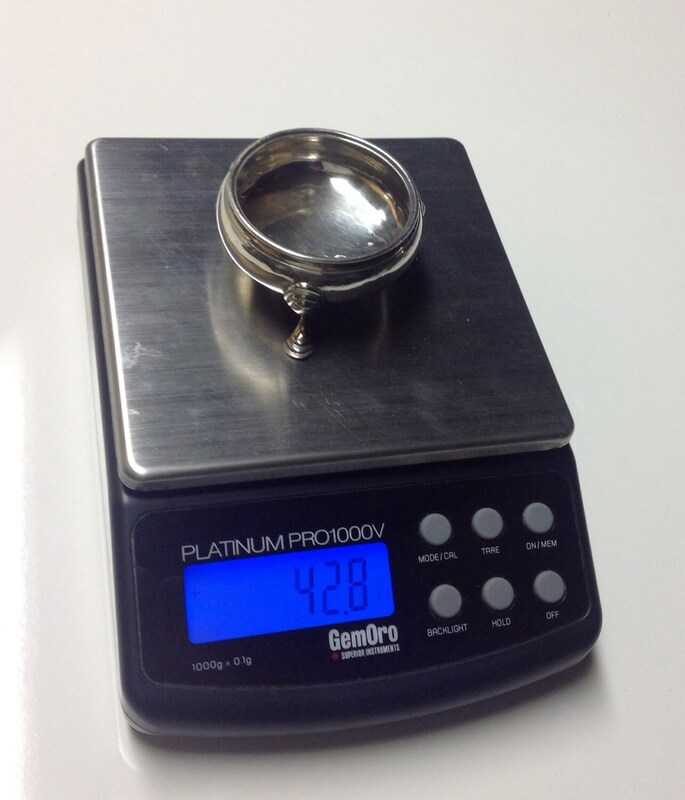 Acquired from New York City. Salt shovels sold separately. Ships insured with tracking.